As the MLB playoffs kick off tonight every seamhead finds themselves attempting to predict the results of the wild card games and beyond. As I read articles, tweets, and listened intently to my podcast library, it seemed as though the baseball world had declared one common theme for postseason success, late inning pitching. I began to sort through some data trying to find how each team’s bullpen matched up with their current and potential opponents. While I won’t bore you the with the obvious fact that the Yankees and Indians bullpen back ends are really good while the Twins and Astros not so much, I did come across an interesting stat. Craig Kimbrel’s 2017 was his best season since he finished fifth in Cy Young and eighth in MVP voting in 2012. 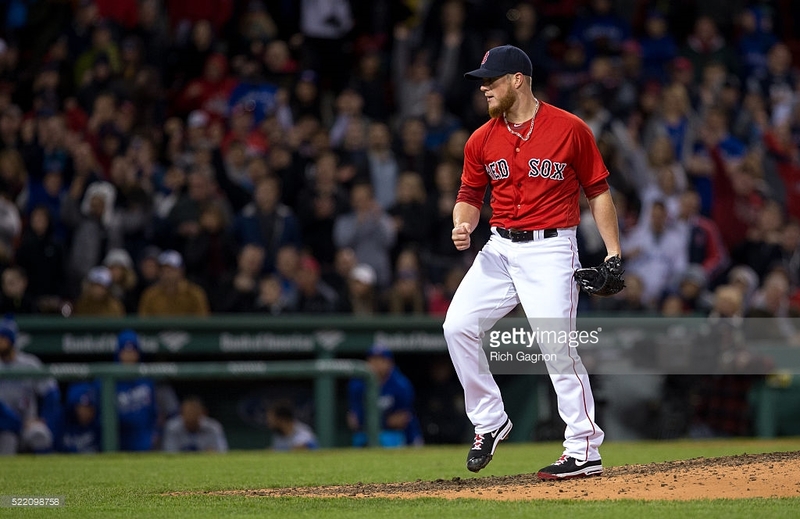 Kimbrel struck out 49.6% of batters while walking just 5.5% in 69 innings, the most he has pitched since his Rookie of the Year campaign in 2011. He posted a career high WAR of 3.6 in 2017 and I found myself looking for answers as to what led to Kimbrel returning to his dominant form. When you consider Kimbrel struck out 126 of the 254 batters he faced, it seems obvious. His fastball velocity averaged 98.7mph while his swinging strike percentage was at 19.8%, both career highs. Okay, mystery solved, guys just couldn’t touch Kimbrel in 2017, but what was even more intriguing was the bats that he didn’t miss. Kimbrel’s average exit velocity allowed was 91.5 mph. That is the highest by pitchers with at least 100 batted ball events and a full mph more than the second name on that leaderboard. While there were a handful guys on playoff rosters that were near the top of that leaderboard, none of them were the shutdown arm like Kimbrel. I thought it would be interesting to see where those prominent and dominant intimidating bullpen arms ranked on the exit velocity scale this season. I remembered the bomb that Rafael Devers hit off Aroldis Chapman earlier this season and thought it best to start with him. Chapman, who is not having a very Chapman-like season, shows up at number 401 on this list with an average exit velocity of 84.4 mph. 400 SPOTS BEHIND KIMBREL! So, on one hand we have Kimbrel who just wrapped up a career year while allowing the highest average exit velocity amongst our definition of qualified pitchers, and on the other we have have Chapman who finds himself 400 spots lower while having a down year by his standards. We need another sample. Enter Andrew Miller. Despite some injury setbacks, Miller has had a very good 2017. Probably not quite as good as Kimbrel’s, but certainly better than Chapman’s. Miller showed up at number 438 out 438 with an average exit velo of 81.2 mph, more than 10 mph slower than Kimbrel. We have two of the American League’s premiere closers who were worth within a half win of each other, struck out a lot of hitters, but find themselves at both ends of the extreme when it comes to exit velocity allowed. While the strategic use of each bullpen by the managers is normally the topic of conversation in the postseason, I am more so looking forward to how each individual pitcher performs. Will Kimbrel’s tendency to allow hard hit balls come back to bite him and the Red sox, or will he continue to be untouchable? Will Andrew Miller prove that having a dominant secondary pitch and limiting hard contact is the key to a postseason run for the Indians? It will be interesting to see if and when this significant gap comes into play through October.